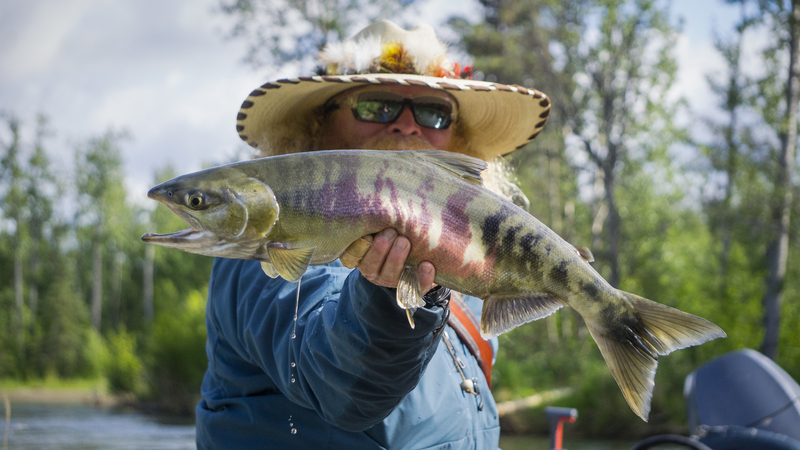 Perhaps you’ve fished/boated many of the Western U.S. blue-ribbon rivers. Places like the Madison, the Green, the Deschutes, the Yakima, the Sacramento, the Rogue, etc. Maybe you’ve even taken some camp trips covering a few days on any of these great rivers. Now imagine for a moment you have over 100 miles of the main stem of any of those rivers, plus braids, plus spring rivers pouring into the main stem to fish all by yourself or with one other angler and a guide. Sound amazing? It should! Our clients spend a day on the river covering water using our Beat System. The Beat System means our guides take over about 10-15 miles of main stem each day and know each Beat like the back of their hand. Each day, you will go out with a different guide and take on a unique part of their Beat – which means you have not only that section of main stem all to yourself, but also the miles and miles of braid of the Aniak and the rivers which feed it! What does that mean? 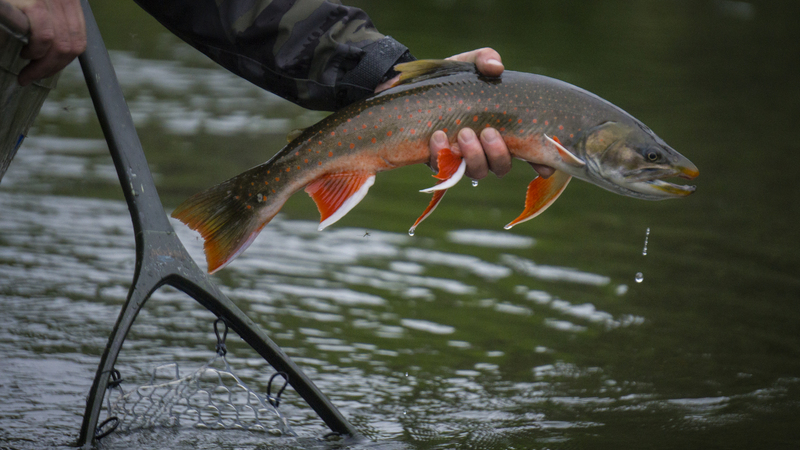 A conservative estimate is that you would have potentially 25-50 river miles in absolute exclusivity with your angling partner and guide and perhaps never see another boat or person. 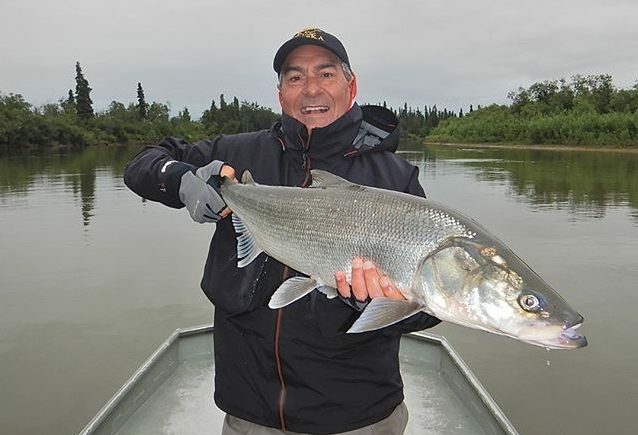 Well, there is the occasional Moose or Bear you’ll see – or few locals cruising the Aniak looking to take one home for harvest, but that’s rare indeed. Salmon River – Tributary of the Aniak River. All of our guides know the entire stretch of the Aniak we guide, so each of them knows each of the Beats just as well as the next guide. Our team works hard to keep the intel going and making sure that clients get to fish water that has been rested each and every day! Not only are we doing this to make sure you have the best opportunity at our wild fish with the least potential of catching one someone else did yesterday – but we also do it for the fish. 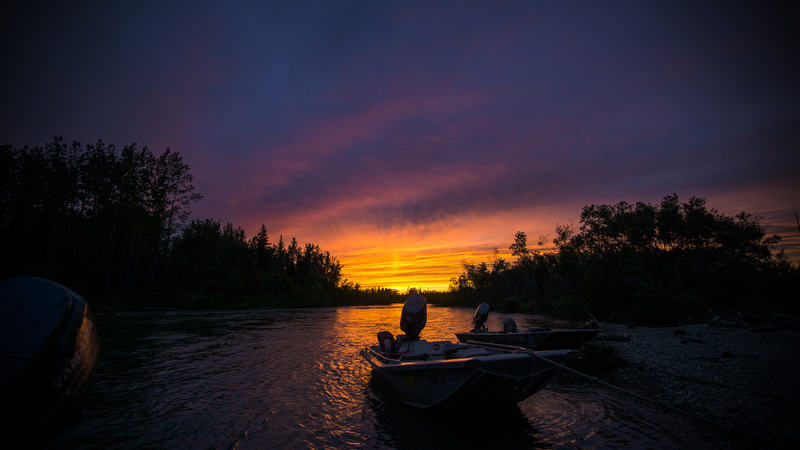 We take great pride in our responsibility to be good stewards of the land and waters we call home each year. Our policy is the use of single barbless hooks for the gear you bring, or the ones we give you while you are out with us each day. This is to ensure we do as little damage to the fish we are targeting and ensure the continued health of the robust populations we have, so they will thrive far into the future. As well, when you’re catching literally dozens and dozens of fish with us potentially each day – it makes it easy on our guides to keep the boat in position while they get that fish right back into the water. We do harvest fish as well, but most of our clients prefer to practice catch and release. 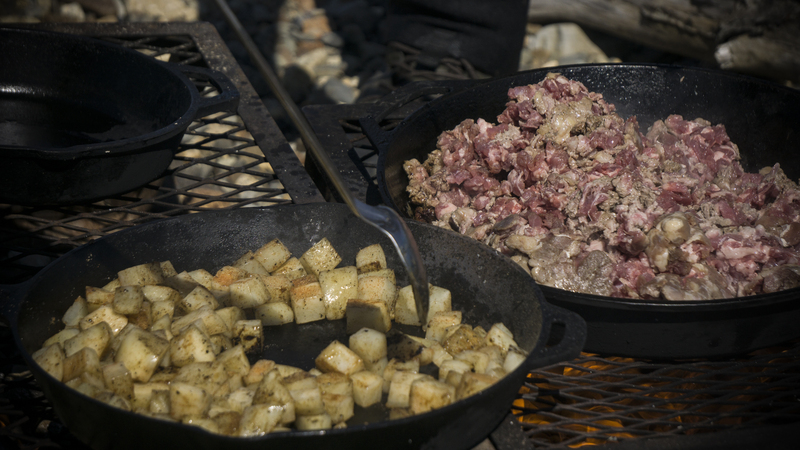 Other than the wildlife, the only time you may see other people is when we meet up for a river feast at lunch. 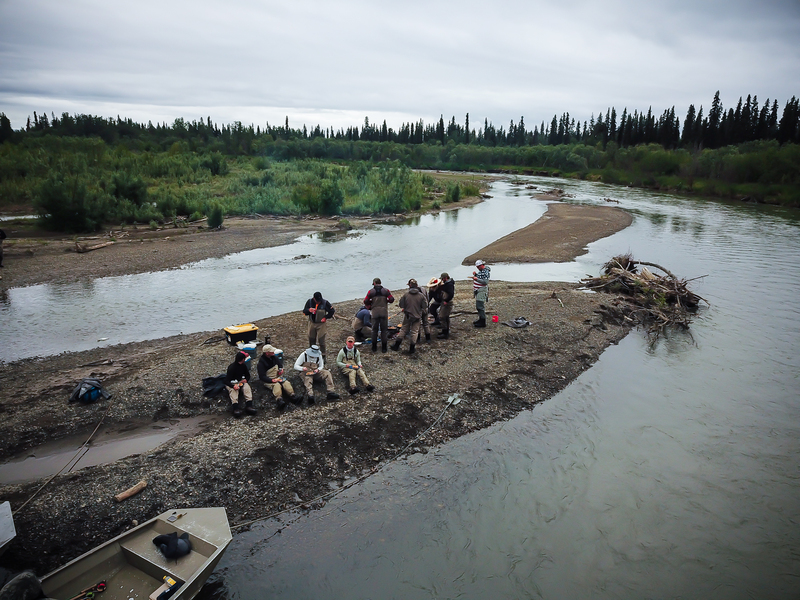 These are special, because we take some of the fish you catch throughout the morning and find a gravel bar where we can put a few boats together to have lunch right there in the river. 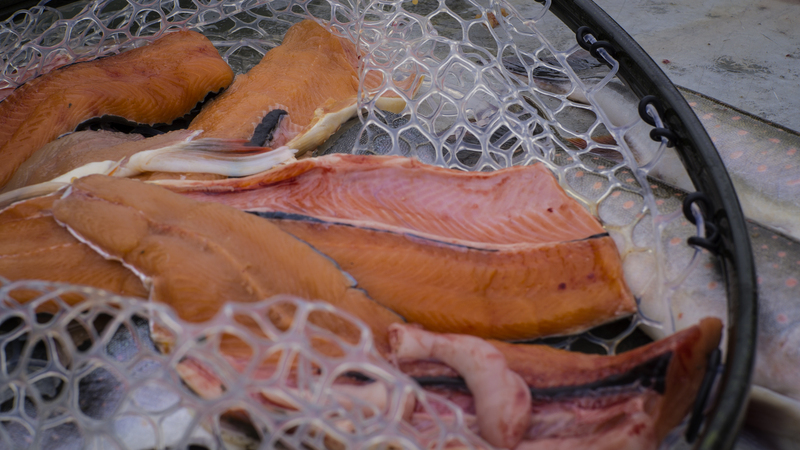 Sometimes it’s fish, and sometimes we’ll barter with the locals for some Moose as well! 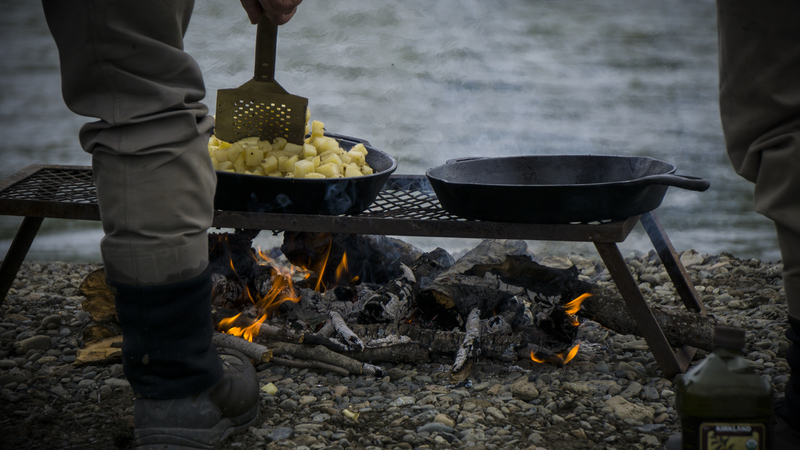 We grab the skillets, light a fire and whip up some veggies and potatoes to go with fresh fish – breaded right there on the banks of the Aniak. After sharing some libations with each other and hearing the fishing tales of the morning – it’s off to fish more! So make sure you pack your favorite beverage for the mid-day meal and get those “fish stories” ready – because we all love to hear about the one that got away! Charging up the fuel tanks with a belly full of the morning catch can be one of the best ways take in what the river really means to all of us who live here and love how it provides for so many. 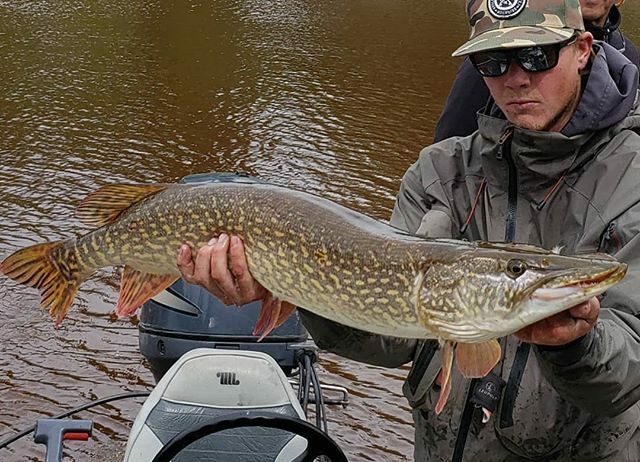 How’s the fishing so far this season? 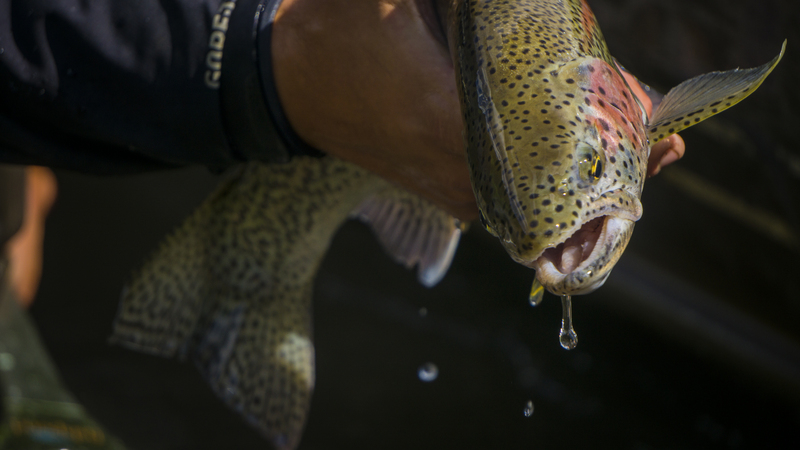 Well, it’s been challenging with the spring run off – but we’re getting almost every species to hand each and every day! 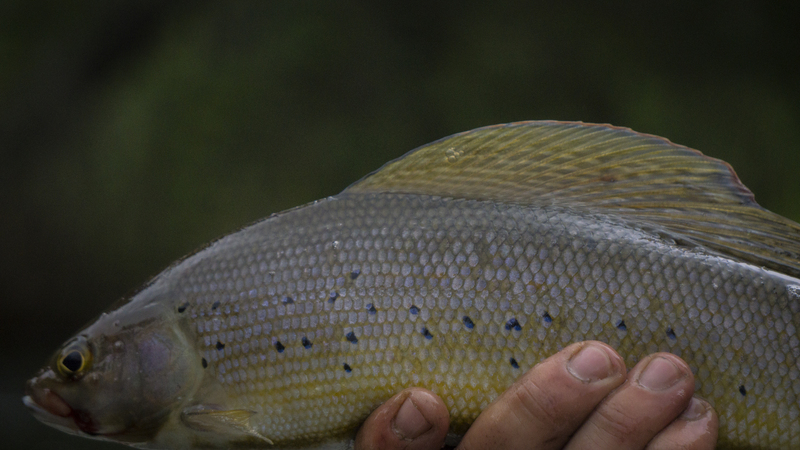 Steady catches of Grayling, Rainbows, Sheefish, Chum, Dollys, Char, Pike, hookups with Pinks, sightings of Sockeye, and even a few big Kings have been spotted!!! One thing is for sure – all you have to do is poke your head outside and check! There’s been overcast days with sprinkles and bright sunny days without a cloud in the sky.